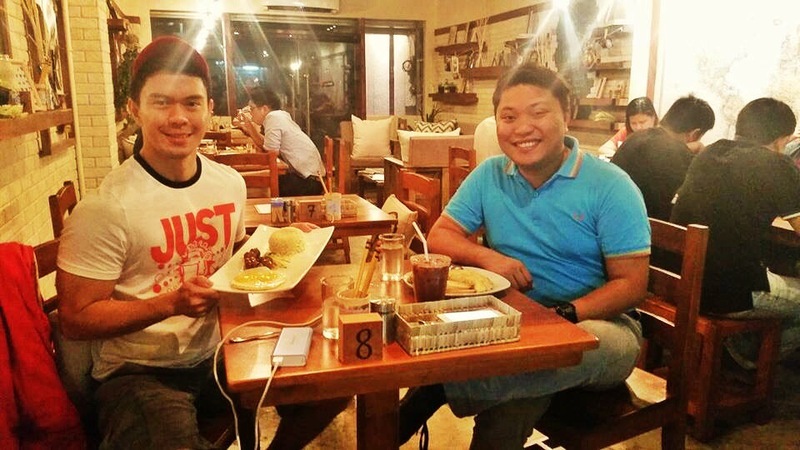 The sun is always rising at Tan Kim Building, 80 Tres Borces Padres Street, Cebu City, Cebu. 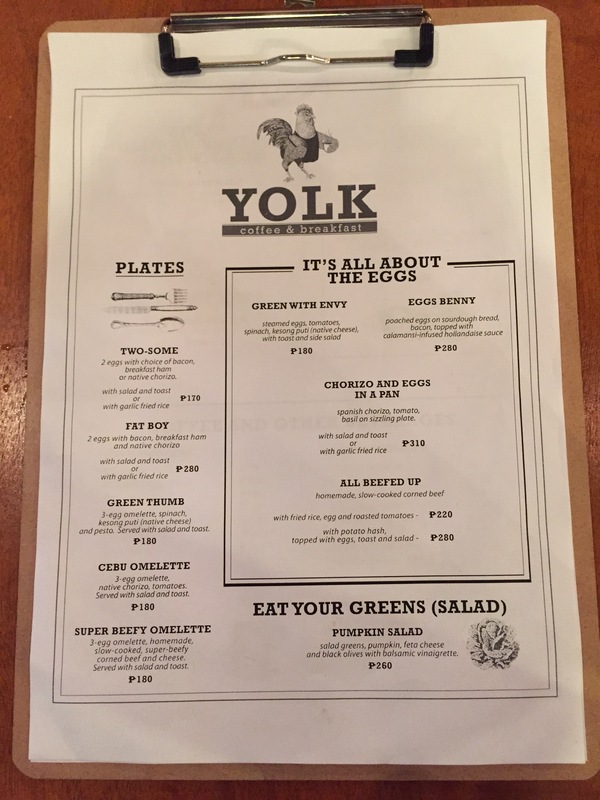 Wake up from your hunger at Yolk Cafe and Restaurant. 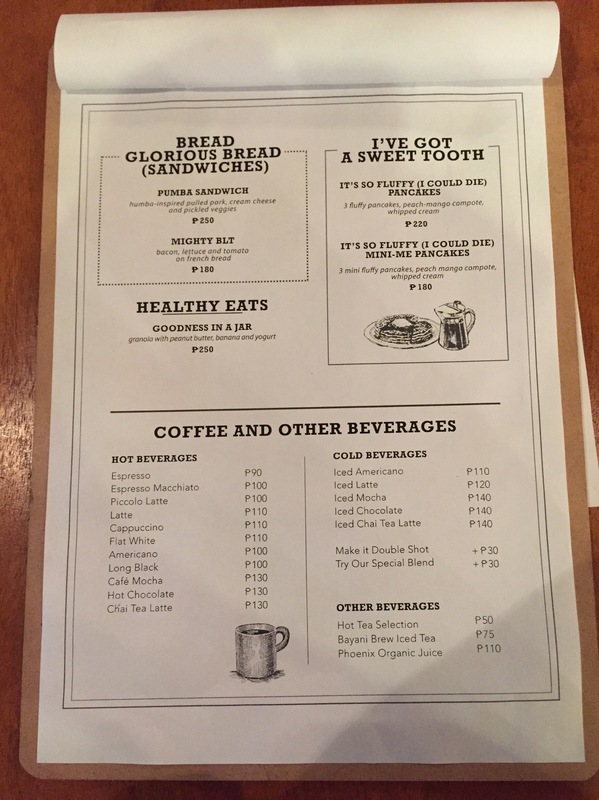 They serve all day breakfast meals , from the healthiest to the heartiest. A quick fix to remedy your day’s warfare, including the finding of a parking slot before having that bacon. I was not that lucky as I used to be in parking, all 4 slots at the front of the shop were already occupied. The menu is simple and straight forward with a very few items but who needs a spread when you are just after for the bacon (sometimes, chorizo too! ), right? 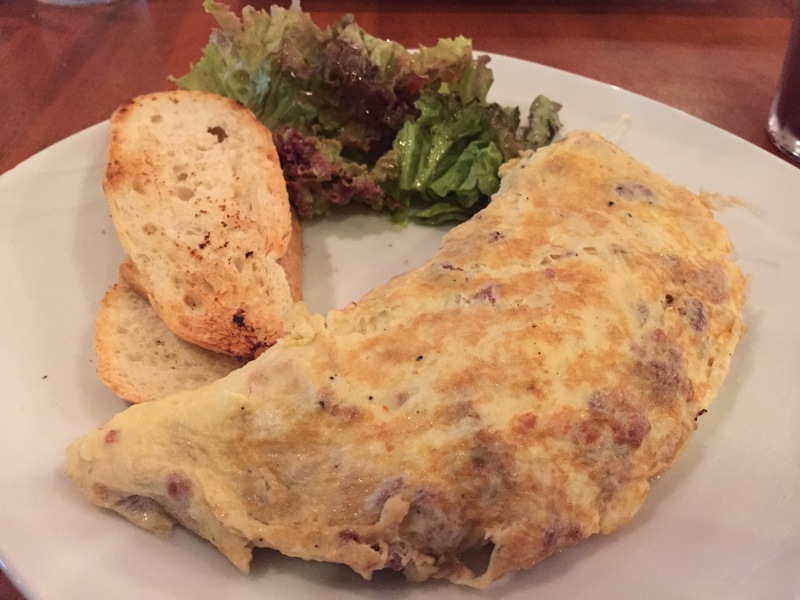 The omelette was delicate and mild in flavor. The hints of chorizo did not overpower the egg. It was just the way I like it: slimy but not oily, mild but flavorful, and eggy but meaty. Meanwhile, their sunny-side up are served in their standard serving size. 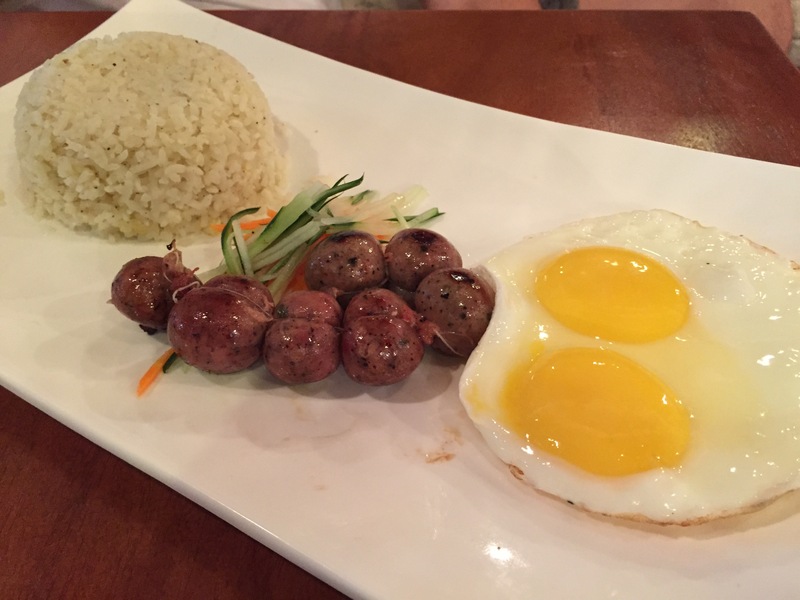 Two mildly cooked eggs with runny yolks that pair so well with Yolk’s seasoned rice. The pepper (and maybe a little salt too) on the rice is an excellent and clever innovation. This one is really so good! 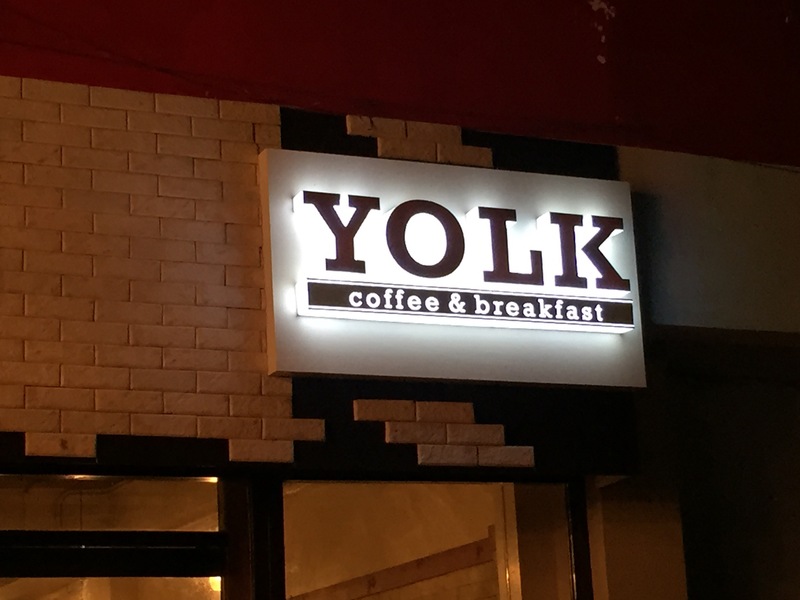 Yolk Cafe and Restaurant also served Ethopian hot and cold coffee but my favorite is their Singaporean chocolate which taste not far from the artisan kind. For the love of bacon and other breakfast food, it’s 7/10.